Despite taking third place in the recent presidential race, most Russians still consider billionaire Mikhail Prokhorov an “oligarch” – a businessman with ties to the authorities – rather than an opposition politician. 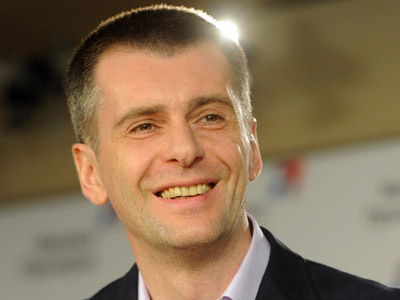 A poll recently conducted by the Russian agency VTsIOM showed that 33 per cent of the Russian public thinks of Prokhorov first of all as an oligarch. A further 17 per cent described him as a businessman and 3 per cent of those polled were aware that Prokhorov owned the Norilsk Nickel metals combine. 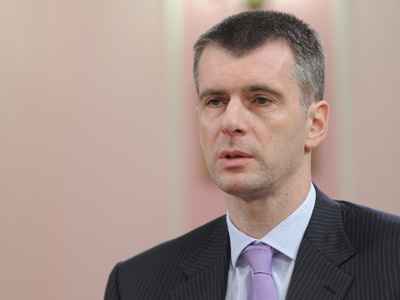 Only 8 per cent of those polled said they knew that Prokhorov was taking part in this year’s presidential elections. This roughly corresponds to the number of votes the businessman got in the race – 7.94 per cent – but a correction should probably be made for the voter turnout. 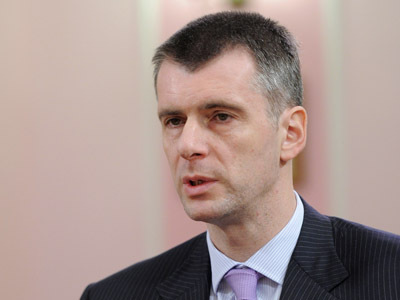 Those who were aware of the businessman’s political career gave the following understanding of his success: 18 per cent said that Prokhorov gained support because he was a new person in politics, 6 per cent said that Prokhorov’s supporters voted for him as they saw him as an alternative to the current regime and 2 per cent suggested that Prokhorov had not had yet lost the people’s trust. At the same time, some of the respondents pointed out Prokhorov’s positive characteristics. Ten per cent described him as clever and energetic, 7 per cent noted his ability to gain trust, and 2 per cent said the businessman was “charming”. Six per cent of respondents said that Prokhorov’s success can be explained by a well-organized campaign. Five per cent believe Prokhorov’s voters were from the young generation and 4 per cent thought that he got support from the middle class. 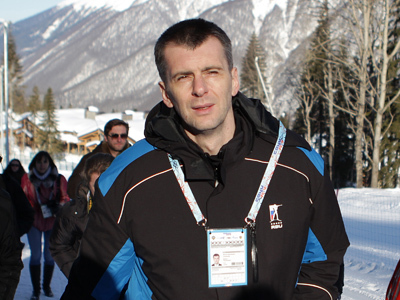 At present Prokhorov is founding a new Russian right-wing party and choosing a name for it. In 2011 he tried to buy a ready-made project, Right Cause, but was ousted from the party at the very first election convention, after which he demanded his investment be returned.